Number of desecrations in Magelang now 21. 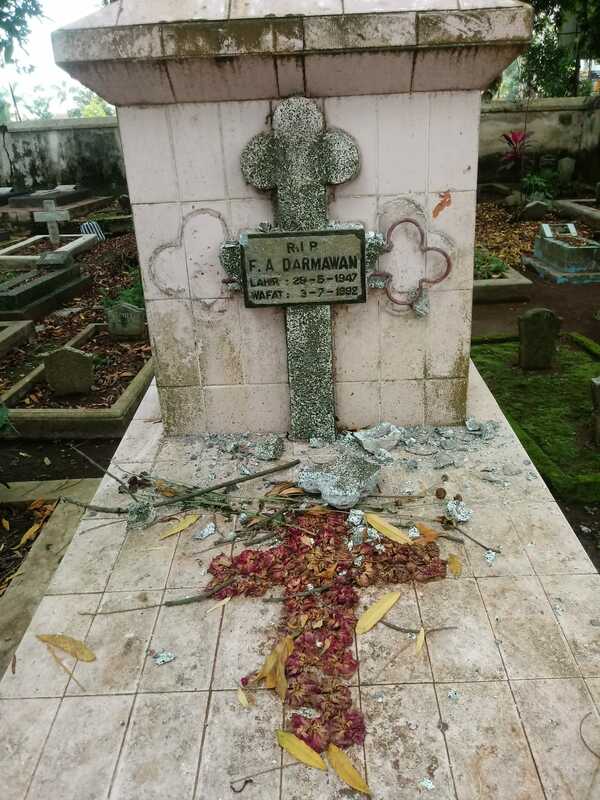 In the Kiringan cemetery, unknown vandals have violated the mounds belonging to eight Christians, damaging the crosses; in that of Malangan, a Muslim tomb was damaged. "Psychological terrorism" against Widodo. 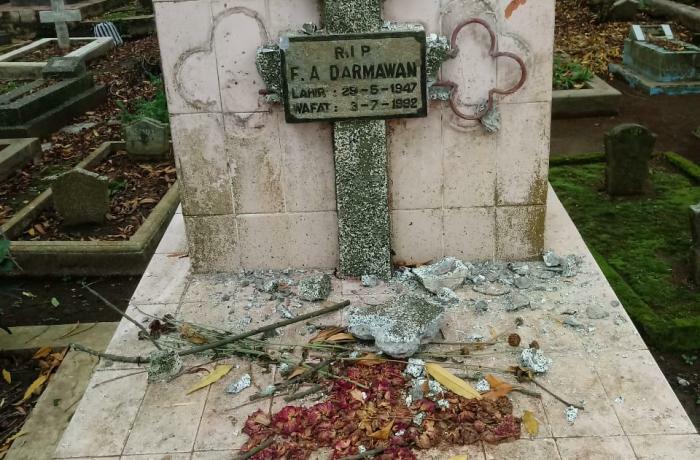 Jakarta (AsiaNews) - After the desecration of tombs in the public cemetery (Tpu) of Giriloyo, as well as those of Kiringan and Malangan, now there are also reports of scenes of vandalism against Christian cemeteries in Magelang (Central Java). In the Kiringan cemetery, where there are only two Islamic tombs, unknown vandals have violated the mounds belonging to eight Christians, damaging the crosses; in that of Malangan, a Muslim tomb was damaged. Kristanto Yoga Darmawan, head of the local police, reports today that "the nine graves damaged on the night of two days ago bring to 21 the total desecrations that took place in Magelang". Gen. Condro Kirono, provincial chief inspector of Central Java, says that the incidents are "only vandalism". Tedi Kholiludin, of the Social and Religion Study, rejects this version and states that these actions are a "political message" sent to the administration of President Joko Widodo. "It's a kind of psychological terrorism - he says - that wants to scare people. The model is clear: unknown groups, which however have the power to create social unrest, strike and flee ".